The BestRES and IndustRE Consortia organised the workshop “Enabling PV integration by delivering flexibility to the energy market” in Amsterdam on 26th September 2017, on the occasion of the EU PVSEC, the European PV Solar Energy Conference and Exhibition. The variable nature of some renewable sources, like solar energy, imposes extra requirements and costs for their integration in power systems and markets. The flexibility of large electricity users and the aggregation of smaller users of distributed generation resources can facilitate the integration of variable renewable energy, while reducing the overall power system costs. This workshop informed the audience about how this works in practice, the potential of power system savings and how the companies can benefit from participating in this market. 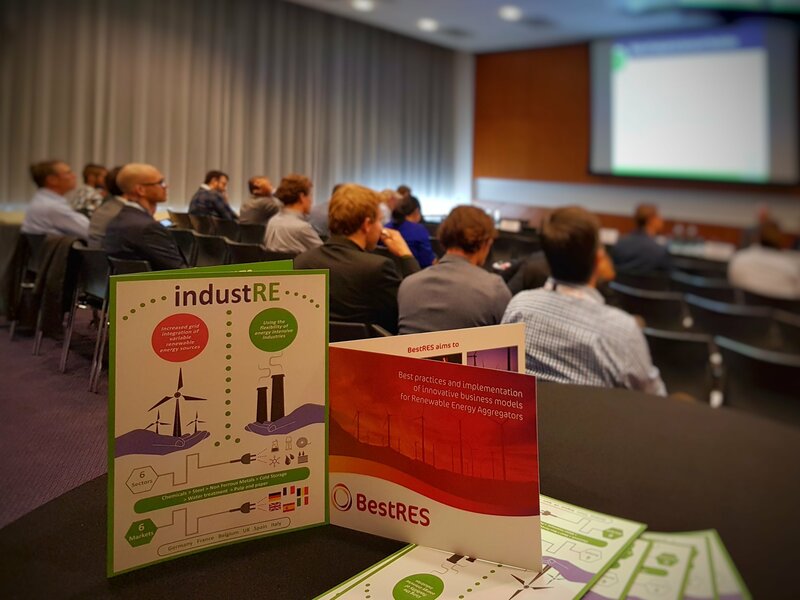 The discussion was based on the outcomes of two H2020 projects: BestRES, which deals with aggregation of renewable energy sources, and IndustRE, which deals with flexibility in the electricity demand of large industries.